Saudi Arabia, November 21, 2018: Makkah Millennium Hotel and Towers, the luxury hotel serving the pilgrims coming to Makkah and located directly over the Holy Haram Al Sharif Piazza and King Fahd Gate, joins the United Arab Emirates’ National Day Celebrations by offering its guests an exclusive “Stay More and Pay Less” package from 28 November to 4 December, 2018. On this occasion, guests can book any 4 nights but pay only for 3, in addition to an early check-in and late check-out. They can also enjoy 20% discount on all outlets and In Room Dining, besides High Speed Wi- Fi. The 47th UAE National Day will fall on Sunday 2nd December, marking the date the UAE was originally formed back in 1971. A day prior to the celebration, the hotel and towers will be decorated with Pan-Arab colors red, green, white, and black balloons and UAE flag, in addition to various set-ups at the Lobby, Jasmin Café, Tea Garden, Hotel and tower receptions and restaurants. As part of the hotel strategy to enhance its collaboration with the Arab countries and the Islamic world, Makkah Millennium Hotel and Towers recently signed an agreement of the Accommodation of the Egyptian Pilgrimage Mission for the Hajj season 1440 Hijri, under the patronage of Dr. Ghada Wali, Minister of Social Solidarity and the presence of Saad Khayat, General manager of Makkah Millennium Hotel and Towers and Ayman Abdul Mawjoud Abed Abul Khair, head of Hajj Ministry of Social Solidarity in Egypt. The 614-room and suites Makkah Millennium Hotel is an example of genuine Arabian hospitality and innovation. It offers many unique features including spacious rooms and suites, multi-cuisine options and a business center. Makkah Millennium Towers consist of six towers with 823 rooms and suites characterized by oriental design and authentic Arabic character. 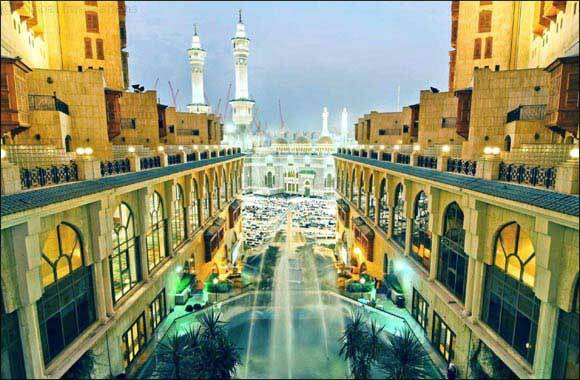 The property also offers many unique features in terms of spacious rooms and suites overlooking the city skyline with marvelous views of the Holy Haram.